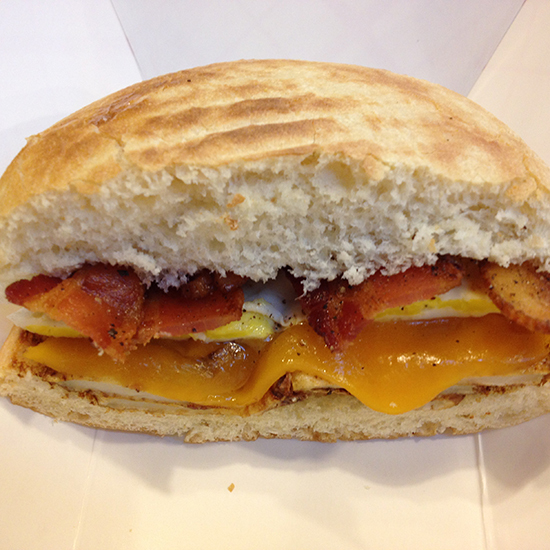 Sandwiches are perfect for breakfast--whether you prefer a classic bacon, egg and cheese or an insane waffle concoction. Here, F&W editors name their favorite breakfast sandwiches across the country, from biscuit bombs to a version that uses sliced bread pudding in place of bread. 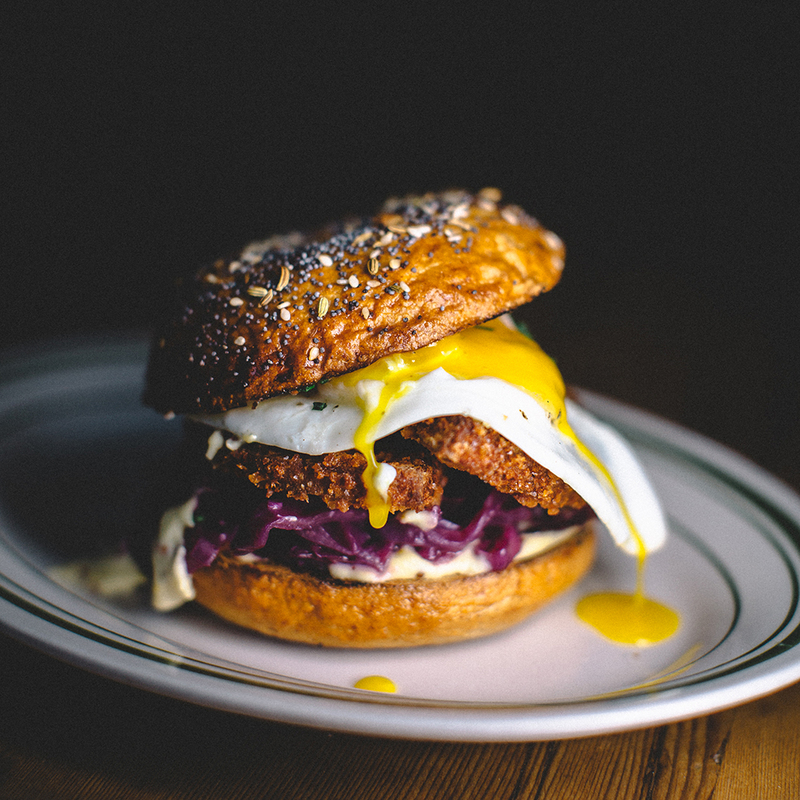 Chef Eli Collins makes this elevated take on a classic, the Pork Roll "Schnitzel" sandwich, with braised red cabbage, a sunny-side-up egg and mustard. It's amazing at brunch. The breakfast menu at Hugh Acheson's modern soul food restaurant is concise with basic eggs, grits and some healthier options, but the mix-and-match breakfast sandwich lends itself to a multitude of variations. One favorite features a fresh-baked biscuit topped with fried chicken, pimento cheese and optional scrambled eggs for an extra $1. 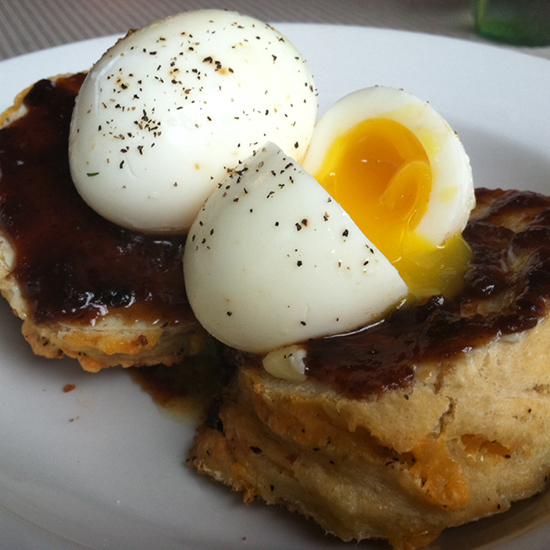 Chef John Stewart's sandwich shop uses slices of fresh maple-currant bread pudding for the outer layers of its belovedly rich breakfast sandwich, the Maple. The creamy exterior gives way to a sausage patty, gooey melted chipotle-cheddar cheese and fennel shavings to temper the sweetness. The offshoot of chef Tom Douglas's flagship restaurant, Dahlia Lounge, offers a gourmet twist on an Egg McMuffin: a fresh-baked English muffin topped with a fried-to-order egg, house-cured ham, cheddar cheese and a spicy dab of Dijon mustard. 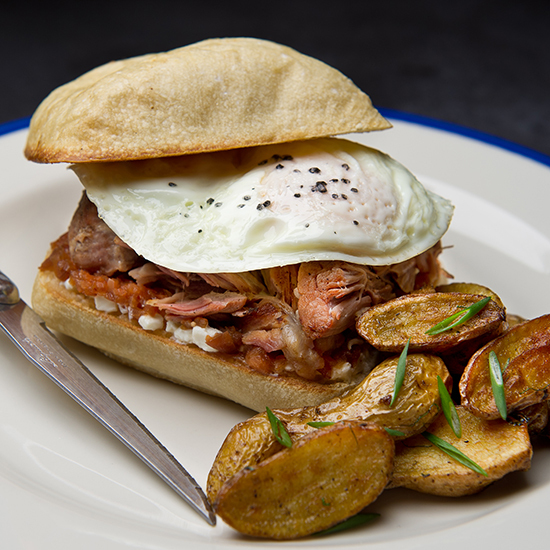 Douglas's new joint, Serious Biscuit, serves over-the-top sandwiches on the house specialty. One includes fried green tomato, bacon, remoulade, and egg. Formerly of Charlie Trotter and North Pond, Jeffrey Mauro re-energized the city's brunch scene with the recently relocated Jam. Though the new space now serves dinner regularly, the restaurant is famous for breakfast items like a pork-shoulder-and-egg sandwich with ricotta salata and tangy green-apple ketchup. 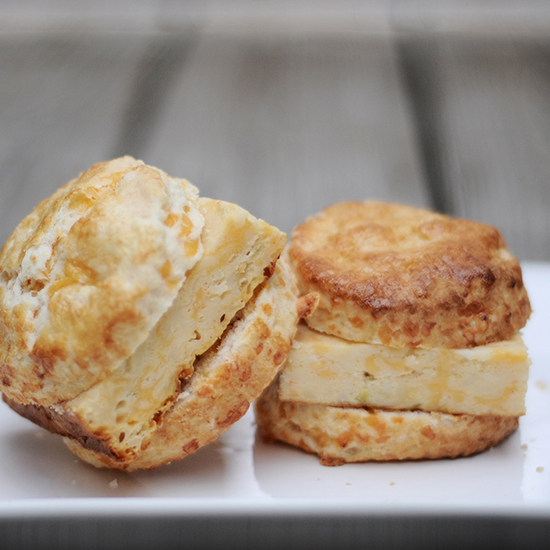 In addition to creative desserts like an Elvis-inspired peanut-butter-and-banana layer cake, the 1950s-style bakery offers a single savory breakfast item: A doubly cheesy sandwich composed of a cheddar scone and a hunk of egg-and-cheese casserole studded with green chiles. Isaac Becker's ingenious take on a bacon-and-fried-egg sandwich – brushed with the pungent North African chile paste, harissa – isn't actually available for breakfast. It's the chef's idea of a perfect late-night snack, and one of the reasons his restaurant attracts local food industry types after-hours. Opened by engineer-turned-sandwich-artist Heidi Gibson, this hyper-focused restaurant even serves grilled cheese for breakfast. 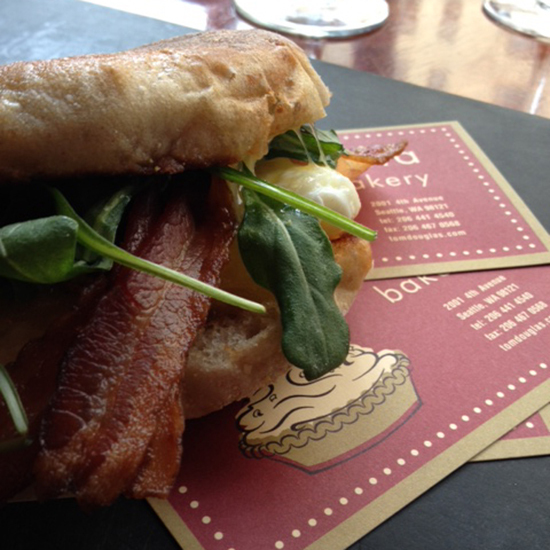 The Breakfast Piglet is filled with sharp cheddar, ham, egg, apple-mustard and aromatic rosemary butter. 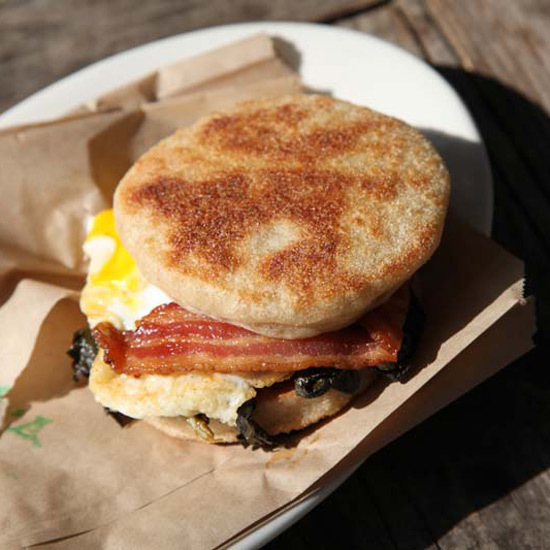 To satisfy customers when they can't get into Gjelina's main dining room, owners Fran Camaj and Travis Lett opened GTA (Gjelina Take Away), an annex serving to-go foods like a breakfast sandwich with fried egg, bacon, tender cooked kale and cheese served on a homemade English muffin. 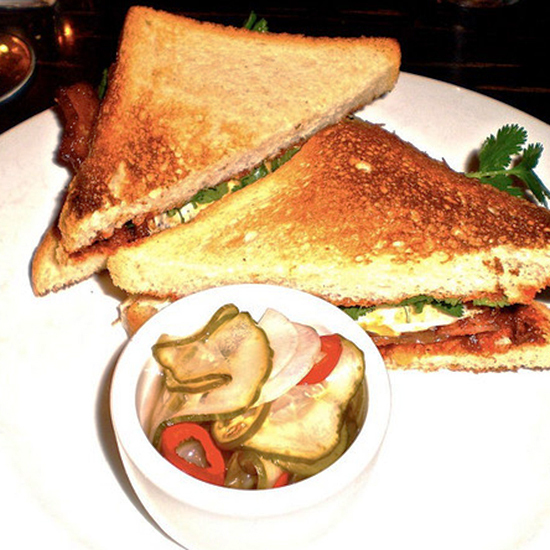 (Sorry, vegetarians, Gjelina is a no-substitution establishment – the bacon stays). At this Brooklyn Heights café, co-owner Rachel Graville puts a spin on her father's classic biscuit recipe by adding cheddar cheese and savory bits of cured ham. Regulars order it with a perfectly soft-boiled egg. 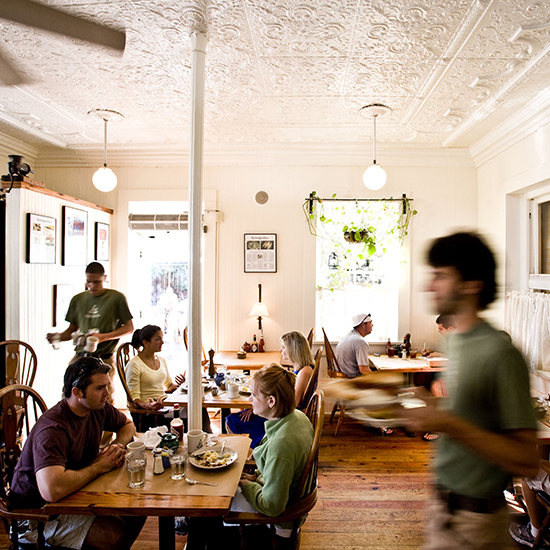 At Hominy Grill, chef Robert Stehling dishes out ultra-comforting, low-country dishes using high-end local ingredients. For a messy-good breakfast, order the Big Nasty Biscuit: fried chicken and cheddar cheese sandwiched in a fresh buttery biscuit and smothered in sausage gravy. 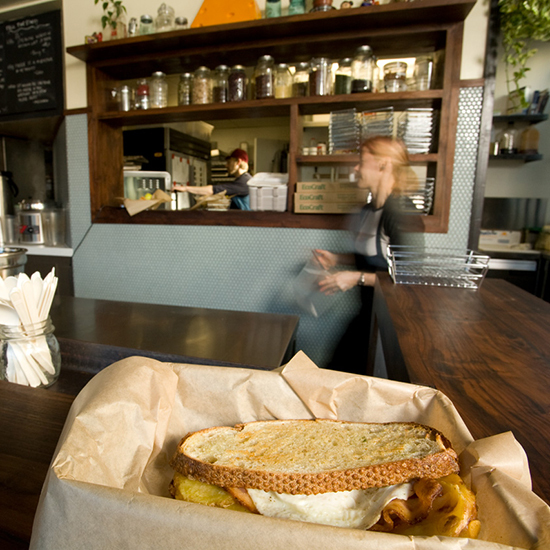 Inside Capitol Hill's bustling Eastern Market, the Market Lunch counter fires off a cult favorite breakfast sandwich known as The Brick. Its heft comes from fried hash-brown potatoes layered inside a fresh biscuit with egg, cheese and a choice of bacon, sausage or ham. There's plenty of seating to devour it indoors and out. "I've brought a lot of people back from the dead after a long night out with the Pylon," says chef John Currence. 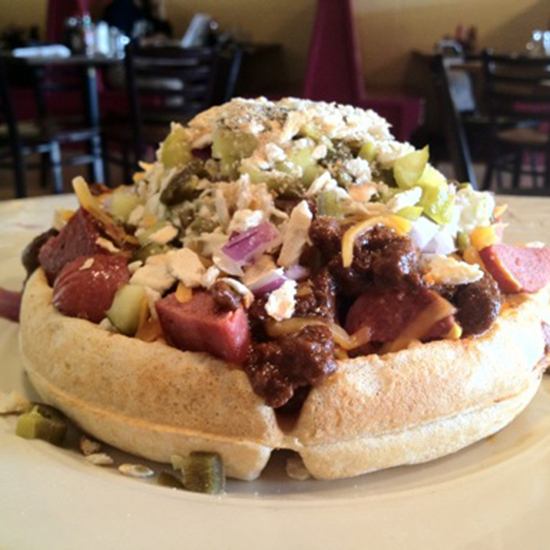 Salty, sweet and spicy, the hangover-halting dish consists of a split, griddle-fried hot dog with chili, slaw, cheddar, mustard, chopped pickles, onion, jalapeño peppers and oyster crackers—all piled onto a waffle. This one requires a knife and fork. 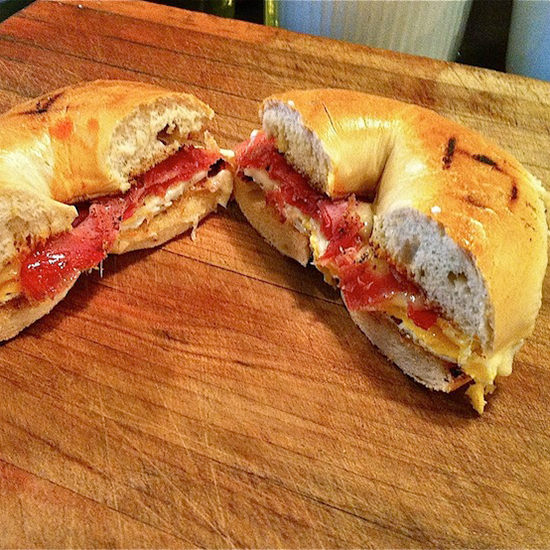 Though it starts off like a typical bagel-egg-and-cheese sandwich, the "number one" at this neighborhood café is loved for its sweet-hot additions: maple-glazed prosciutto and a generous hit of spicy, tangy Tabasco sauce. 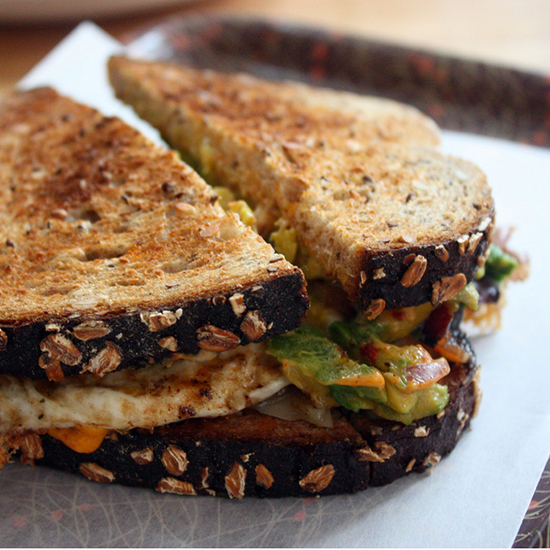 Locals line up out the door of this tiny, nine-seat café for the "bacon and egg, fancy": a fried egg with cheddar cheese, bacon, avocado and red onion, served on toasted multigrain bread with the restaurant's garlicky cumin-cayenne mayo. 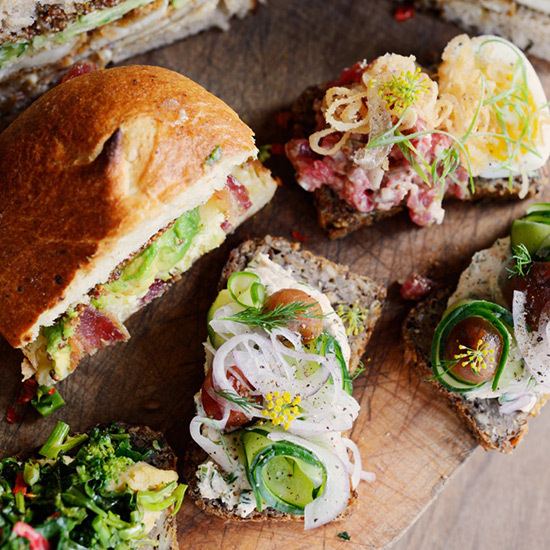 At Root & Bone in Alphabet City, James Beard–nominated (and Top Chef 11 stars) Jeff McInnis and Janine Booth are stepping up the game of traditional rural American food with this colossal sandwich. First, there’s the chicken, brined in sweet tea and coated with crispy flakes that perfectly walk the line between moist and crunch. Next, the syrup: whiskey maple. There’s greenery, if you like that sort of thing, a few healthy-ish additions like a pickled green tomato and a scattering of watercress. 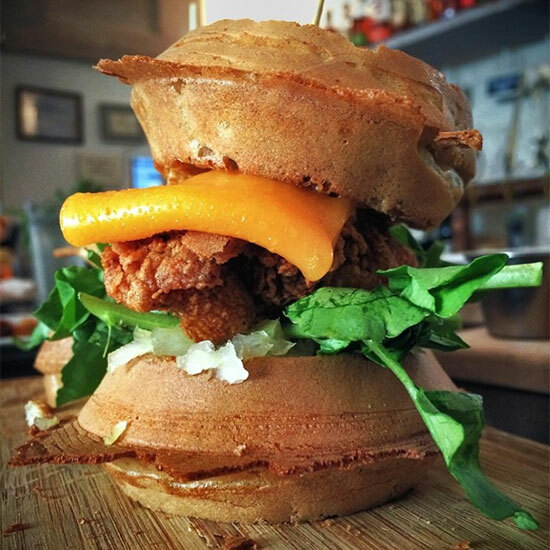 And finally, the whole package is stuffed between two cheddar cheese waffles. If this dish were part of Sunday service we would have no qualms praying to it. 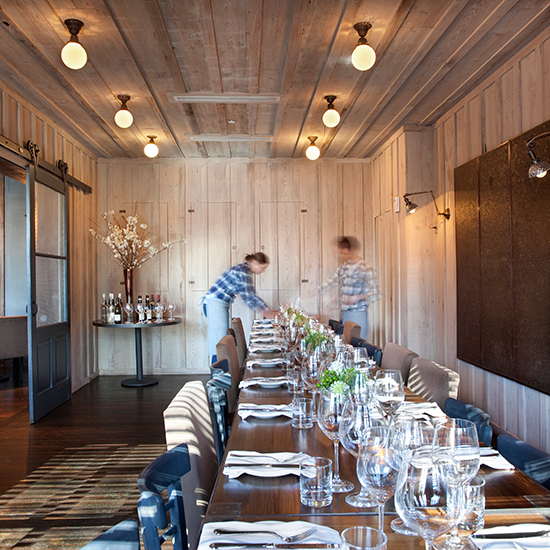 During brunch at this Tartine Bakery offshoot, chef Nicolaus Balla wisely showcases the incredible breads made by the proprietor and baking master Chad Robertson. 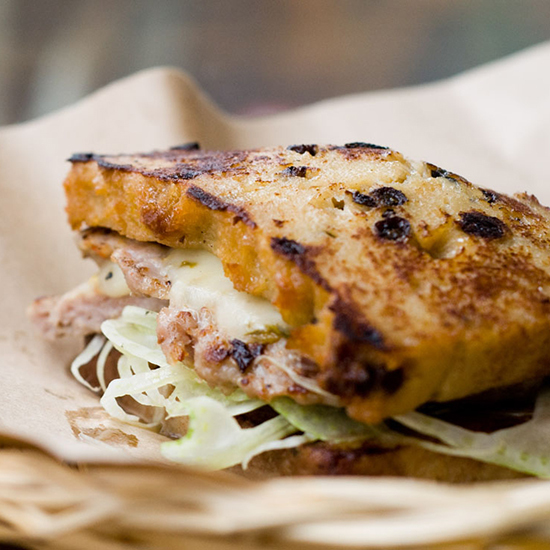 Among the fantastic dishes are a hearty lamb meatball sandwich covered in tangy yogurt on a crusty, chewy baguette. "I love a good frisée salad," says Suzanne Goin. 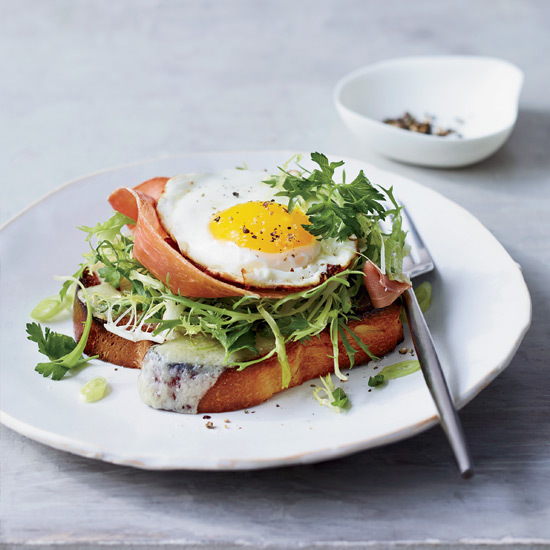 "And of course I love toasted, buttery bread, with big slabs of melted cheese and prosciutto and an egg on top." Her sumptuous open-face sandwich, a staple at her A.O.C. wine bar since the place opened in Los Angeles in 2003, combines all her favorite things.